We can waste time and energy, and generate more heat than light, about the Annunciation story – How much of it is history? Is it an extended metaphorical story? Where did Jesus’ other chromosomes come from?… And we miss the point of the story: God became what we are so that you and I might become what God is. The incarnation reveals who God is. It reveals who we are. It complements what is meant by being made in God’s image: like a signet ring in wax, we are God’s image and our union can be complete. As we dig the wells of ourselves, with Jesus, there is no point where I stop and God starts. From a historical perspective, we tend to take for granted that the date for Christmas was established and then we counted backwards – Jesus the perfect baby was perfectly 9 months in his mother’s womb. But actually, historically it may have been the other way around, with an ancient understanding that great events all occurred on the same date: creation, Abraham’s sacrifice of Issac, the incarnation, the crucifixion… In the West the calculation of the crucifixion came up with 25 March; in the East 6 April. So that’s the date of the incarnation. Calculate 9 perfect months forward and you have a birth in the West 25 December, and in the East 6 January. This theory was first proposed by Louis Duchesne, Origines du culte Chrétien, 5th ed. (Paris: Thorin et Fontemoing, 1925), pp. 275–279; and developed by Thomas Talley, Origins of the Liturgical Year, 2nd ed. (Collegeville, MN: Liturgical Press, 1991). The West would have started from the Hebrew 14 Nisan. The East from 14 Artemisios in the Greek calendar. We do not know which theory of this day’s origin is correct: 9 perfect months before the solstice, or connecting incarnation and crucifixion. Both are worth our reflection on this day when we remind ourselves that God became what we are so that you and I might become what God is. one God, now and for ever Amen. I am stirred to reflection as is usually the case with your blog postings, but I am also troubled by the way you have phrased the last sentence of your opening paragraph: “God became what we are so that you and I might become what God is.” It seems to me that phrasing would be well received in Eastern Orthodoxy (consider, for instance, a sentence that has been used in the Russian liturgy, “Thou hast become poor like us, and hast deified the earthly by thy union with it”). The western Church, however, has generally resisted any interpretation of the Christological doctrine “two natures in one person, union without confusion” that would see in it a paradigm or pathway for the deification of any other human being. Glorification, yes; sharing a divine nature, yes (2 Peter 1:4), but absolutely not any implication of a divine-human union other than the one that occurred uniquely in the incarnation of Jesus. We aspire to godliness, not Godhead. Likewise, the western Church has also resisted any attempt to use the incarnation to redefine the nature and “otherness” of God. Consider, for instance, this phrase from the V111th Anathema published by the 2nd Council of Constantinople, “each nature remains what it is.” Through the incarnation we gain profound new insight into the nature of God, but that nature remains what it has been through all eternity. The excerpt from the BCP that you have included at the end of the post seems to say that you do, in fact, adhere to the Western Orthodoxy on these points. If so, is there a way to rephrase your sentence to make that more explicit? But if on the other hand you think the Eastern Orthodox viewpoint is more correct, could you outline what has brought you to that understanding? Thanks, Trevor. I’m a bit confused by your separation of Western Orthodox doctrine from Eastern Orthodox. I can understand an assertion that Western Christians sadly neglect theosis (deification) as integral to Christian Orthodoxy, but I’m not sure if what you are saying is that the Eastern fuller regular presentation of what God does for us is heretical. Is that what you are asserting? The quote, of course, is found in many places in slightly different forms (Irenaeus springs obviously to mind). Every RC Eucharist, of course, has the prayer “may we come to share in the divinity of Christ who humbled himself to share in our humanity.” I’m also not sure how you understand sharing the divine nature (a doctrine you affirm) distinguishes from the orthodox understanding of theosis which you appear to be asserting you deny? Blessings. Thanks for your response. First, on the idea of “heresy”: I think that word should be reserved for a very few doctrinal errors only. For instance, I think that the Thalia of Arius reveals a doctrine of God that is so far removed from the orthodox understanding that the Arian position truly deserves to be called a heresy. However, different viewpoints as regards theosis are not of that kind. Certainly, if the Church can find and hold to an understanding of theosis that is the same as that held by God himself, so much better for the health of the Church. However, those with differing opinions are still part of the glorious Church universal, provided they are operating within a Trinitarian understanding of the Godhead and a faith in the cross of Jesus as instrumental to our access to God. That word “transformed” is crucial. We come to our theosis by a path that is in no way analogous to the incarnation of Jesus. Regarding the latter, Cyril, Bishop of Alexandria had written, “We do not say that the Word of God dwelt in him as in a common man born of the Holy Virgin, lest Christ be thought of as a God-bearing man.” (Long Epistle of St. Cyril to Nestorius, summarising the conclusions of the AD 431 Council of Ephesus). Contrastingly, one could readily describe as a God-bearing person a believer who has arrived at theosis in the way described (rightly, I believe) by John of the Cross. I believe that the Western Church has been far more careful than the Eastern Church to teach theosis in a way that discourages the incorporation into it of any shadow of the Nestorian error. (Not Nestorianism per-se, but a similar kind of mistake). I believe that this error is unhealthy for the Church because it tends to dethrone Jesus Christ. To use a rather horrible analogy, it tends to make him just the first cyberman constructed, whose only claim to respect is that he was first and by his actions then enabled a production line to be activated to produce the rest of us. Having said all that, I do believe that the Western Church may also have harmed the Church and its mission by not teaching theosis emphatically enough. I am glad that my researches for this comment led me to the following article that indicates that Pope Francis is concerned to rectify that: http://www.catholicworldreport.com/Blog/2242/pope_francis_romans_8_and_the_theme_of_theosis.aspx. Anyway, this dialogue has been an exercise to help me be sure exactly what that last sentence in your first paragraph meant. 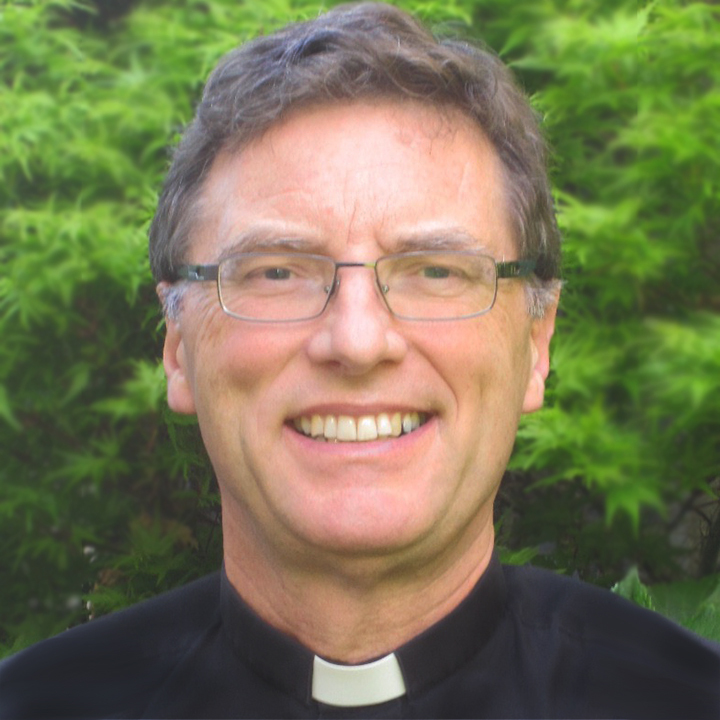 The fact that it occurred in the context of a reflection on the Annunciation made me worry that you yourself understood theosis in the way that I – rightly or wrongly – think is incorrect. If however you meant it in a way that does not import the ghost of Nestorius, then I am very happy. And if you did mean it the way I don’t support, I am still content for the fellowship of dialogue to continue over the years. I hope you agree with me that neither viewpoint should be deemed a fellowship-breaking heresy. Thanks, Trevor. No, I am not Nestorian. While you “believe that the Western Church has been far more careful than the Eastern Church to teach theosis in a way that discourages the incorporation into it of any shadow of the Nestorian error”, I have found little example of teaching theosis whatsoever. If you are regularly hearing teaching of theosis where you are, I am pleasantly surprised. Blessings. Thanks, Bosco. Please bear with me in future as no doubt I will ask clarification questions about other postings, too. I’m sure that Father Ron Smith (for example) would have known immediately that there was no neo-Nestorian implication in your sentence, but this conservative evangelical Protestant does not have the same shared background to allow me to be quite sure until I have asked the question. Anyway, your posting has, as so often challenged and stimulated my thinking, so thanks again for your work. I’d much rather have genuine questions, Trevor, that seek clarification when I can take for granted what I mean, or express it badly, than have anyone presume something that I wouldn’t dream of agreeing with 🙂 . Blessings. I have no problem using this particular formulary myself – believing that our ultimate destination is union with God. In this, I am at one with the majority of catholic and orthodox Christians. Yes, thank you indeed, Father Ron. I agree that my initial comment was too hastily written and not precise enough. I have submitted a longer reply in answer to the question Bosco put to me. Hopefully, that will make my meaning clearer. Murray, I can understand your comment about Feasts like Annunciation being neglected in those churches which only celebrate the Eucharist on Sundays. 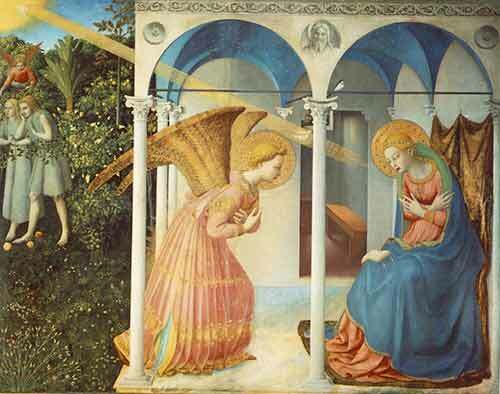 However, in parishes like ours in Christchurch – St. Michael and All Angels – we celebrate the Mass on a daily basis, and the Feast of The Annunciation was celebrated on its appointed day. This is why the Western Churches should not avoid the concelebration of Annunciation and Good Friday, when they fall together (in 2016, then in 2198). By the way, the Annunciation should fall on Maundy Thursday (in 2027, 2032, and 2100), and on Easter day (in 2035, 2046, and 2103). I hope some Western congregations will get inspired by the Eastern Churches, in order to combine the Annunciation with paschal feasts.